Sow tiny ageratum seeds atop moist seed starting mix and gently press them into the surface. 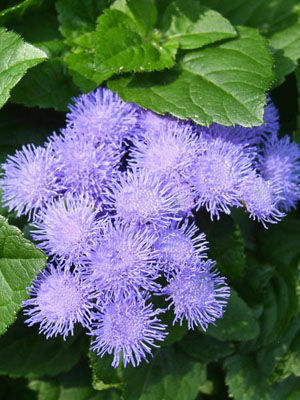 Most gardeners buy ageratum seedlings, but only dwarf varieties are widely available as bedding plants. Space dwarf varieties 20cm (8 inches) apart in all directions; allow 30cm (12 inches) between very tall varieties.